One of London’s most iconic attractions despite only being built in 2000. 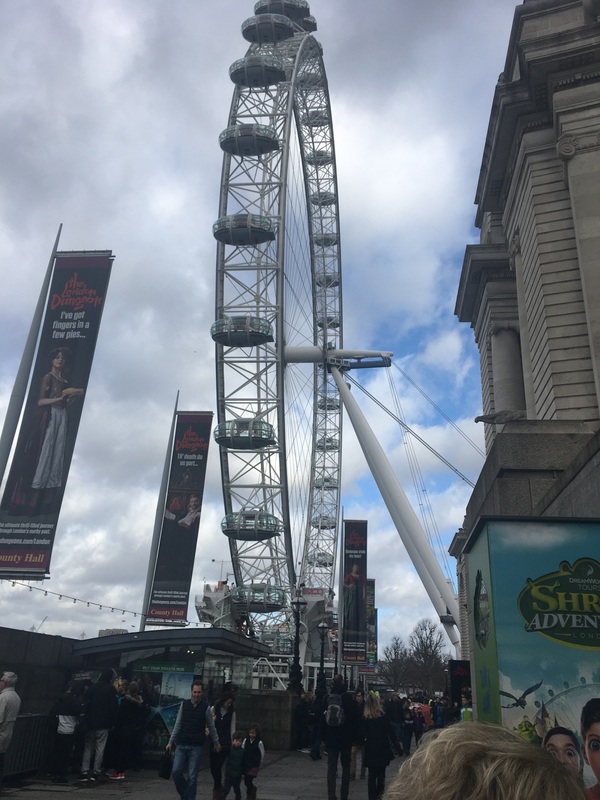 Its a giant Ferris wheel, found on the South Bank of the River Thames. Very easy walking distance from Waterloo and Westminster stations. 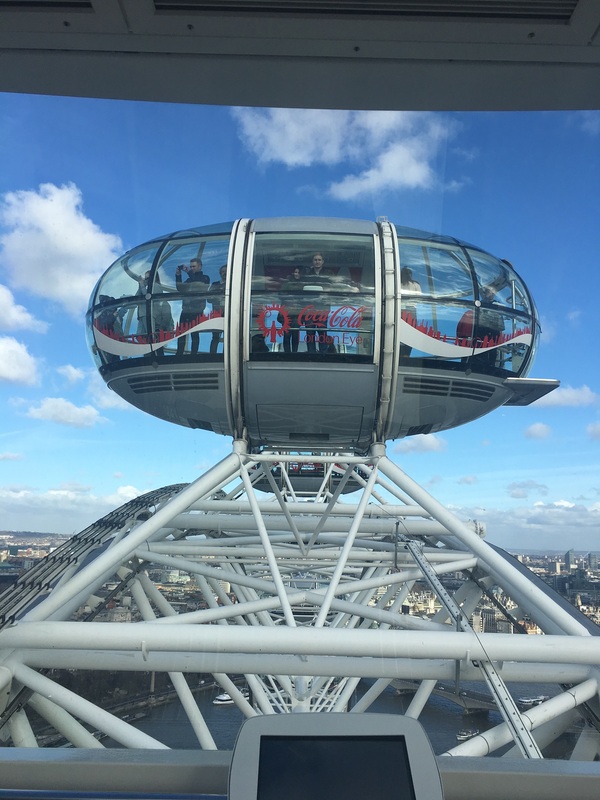 It reaches heights of 135m during its 30 minute rotation and the views of our fabulous capital City are nothing short of breath taking. 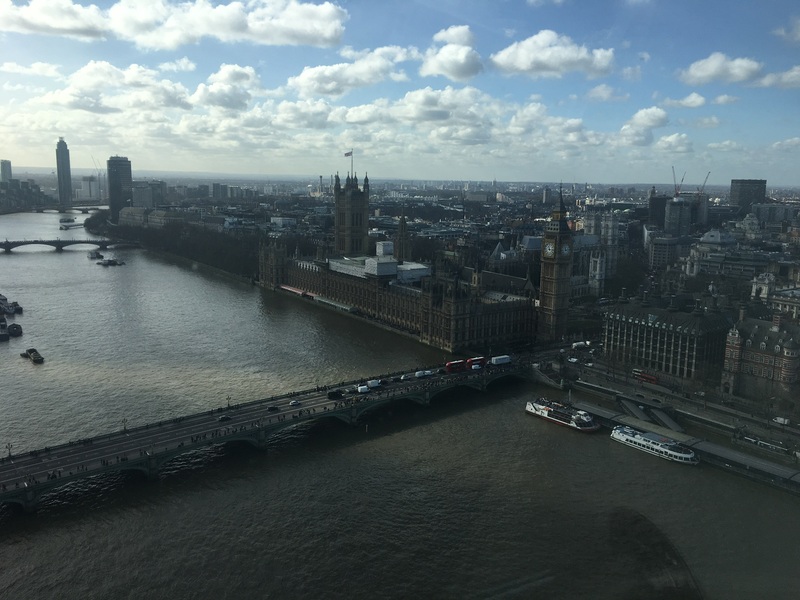 We were so lucky to visit on a beautiful clear, sunny day , which meant the views were far reaching. I have it on good authority that it is a whole different but equally as spectacular experience at night. We got a good deal on our tickets using London Attraction Tickets as we bought tickets for Shrek and Sealife too. Standard tickets start at £22.45. First rotations are at 11am. With the London Attraction Tickets we couldn’t book a slot and so we decided to arrive early and get in the queue for the first ride. Queuing is orderly as lines are organised into day tickets, fast track and the more elaborate packages. We waited for around 20 minutes before boarding. Fast tracking the queue is an option if you don’t like waiting, but these tickets are significantly more expensive. It is worth mentioning you can take a buggy on board but it must be folded. Oh, and visit the loo in the visitor centre before queuing ! 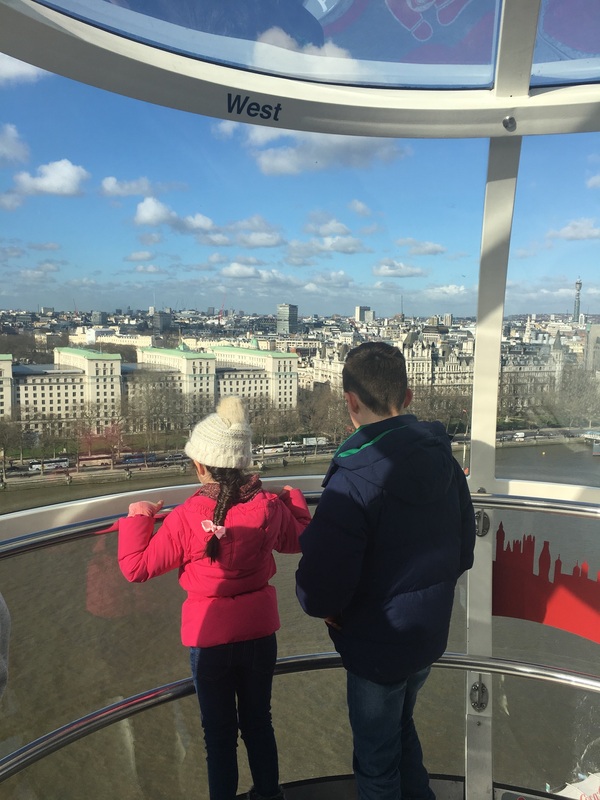 Can I go on The London Eye if i’m afraid of heights? Our party consisted of 3 adults and 2 children (10 and 6). 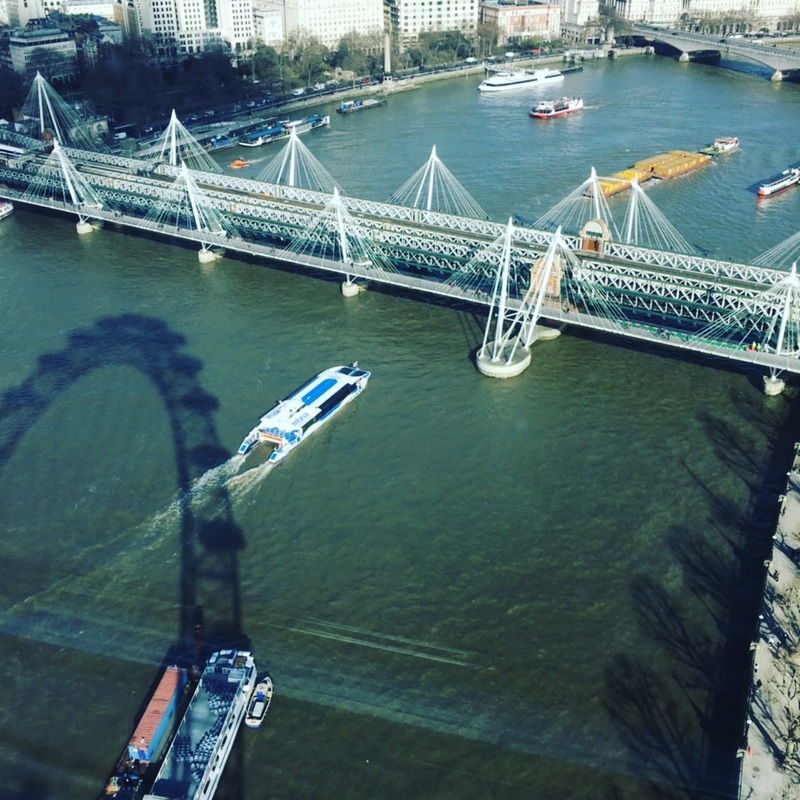 I don’t enjoy heights or flying so was a little apprehensive and my mother was positively petrified directly before getting on – she is very nervous of heights. The kids were, of course completely unphased. We shared our pod with 5 other people, which allowed plenty of room, and absolutely no feeling of being squashed. 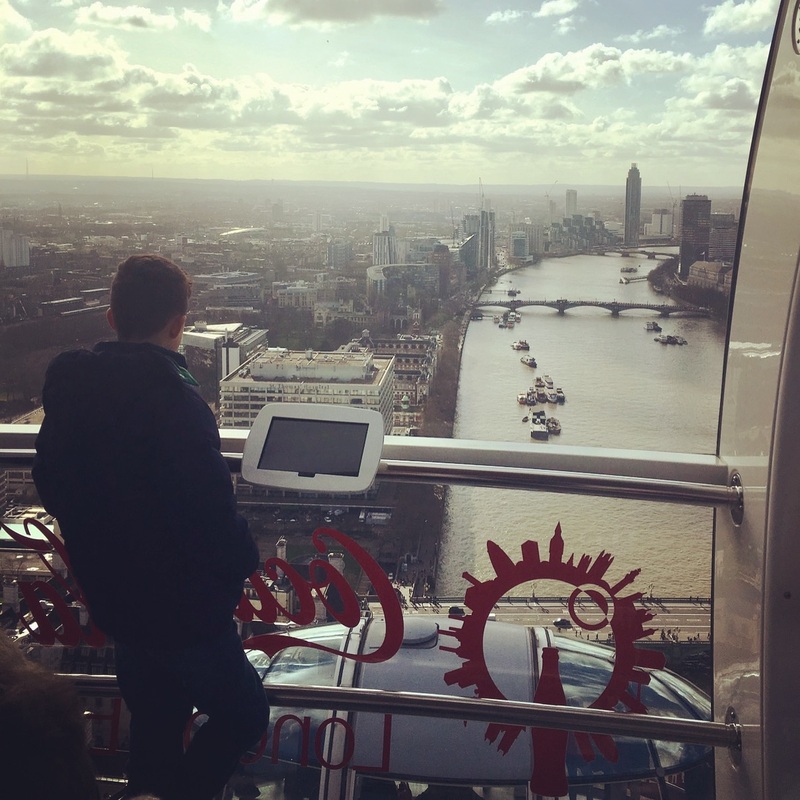 There is a large bench in the centre of the pod, hand rails all around the pod and a computer on either side where you can access information on what you are seeing and of the names of the various landmarks. The progress of the wheel is steady and gives no reason at all for alarm. My mother became a little anxious when we were at the very top of our rotation (which to be fair, is jolly high!) but she sat on the bench and regained her composure quietly before enjoying our steady descent. As you are nearing the end of your rotation you are invited to stand in a certain area of the pod for a group photo which you can purchase in the gift shop. The views are incredible. 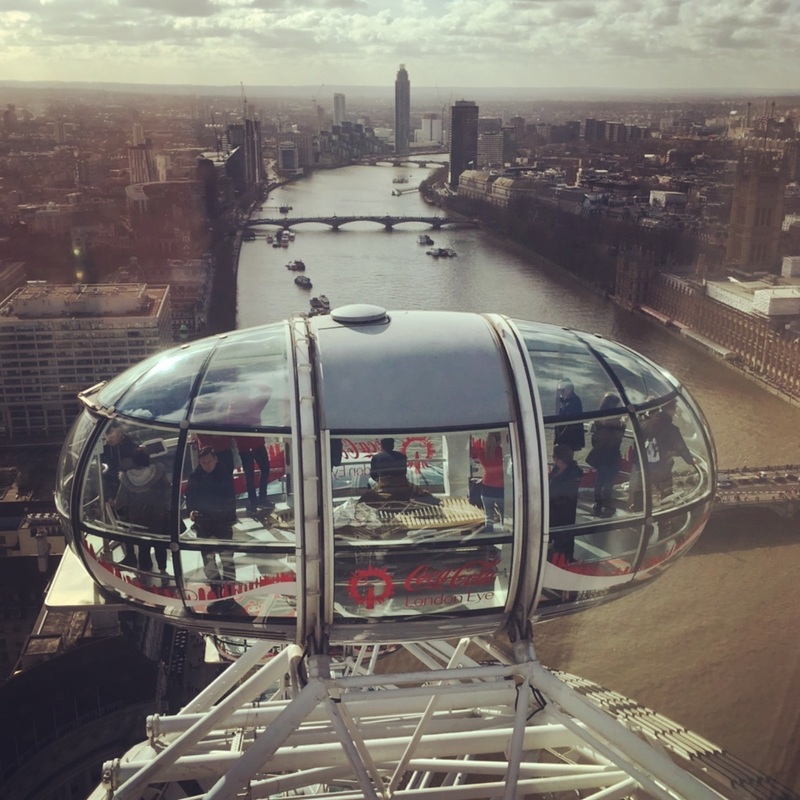 Its a spectacular way to enjoy London. The photo opportunities are endless. The children absolutely loved it. A nicely equipped gift shop awaits you once your feet are back on the ground, with souvenirs for all budgets. 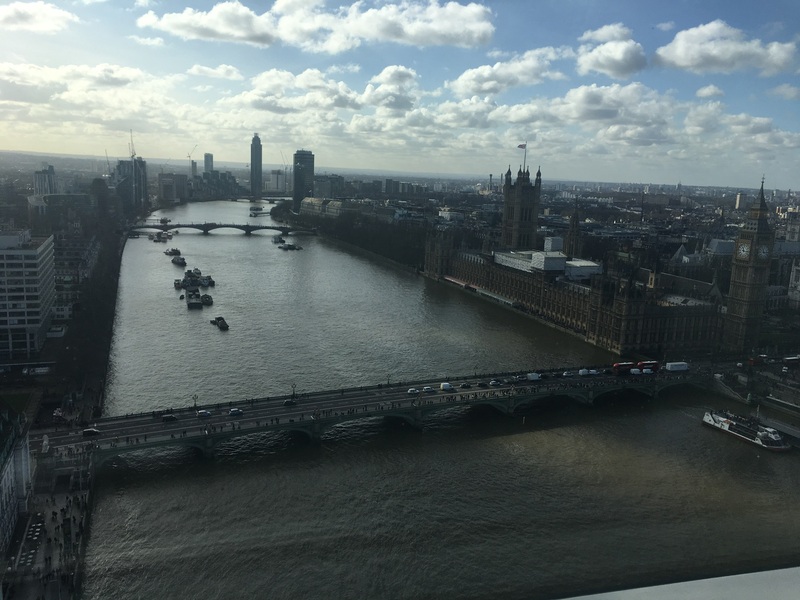 Even if you are a little apprehensive, I thoroughly recommend visiting this attraction – you have to see London in all its glory! 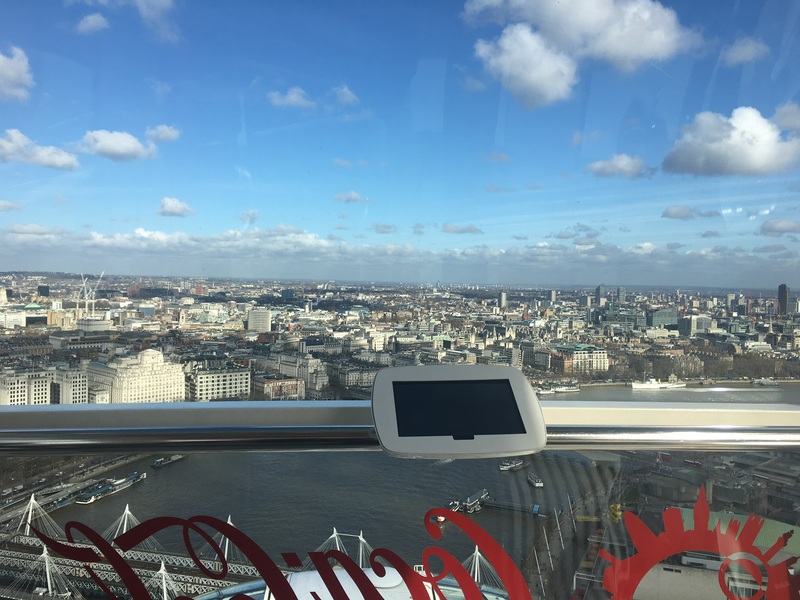 For another fabulous view experience, have a look at this review of View from the Shard by Playdays and Runways.